Norah Jones described her new album, "Little Broken Hearts" as a concept album of sorts that examines a difficult breakup. 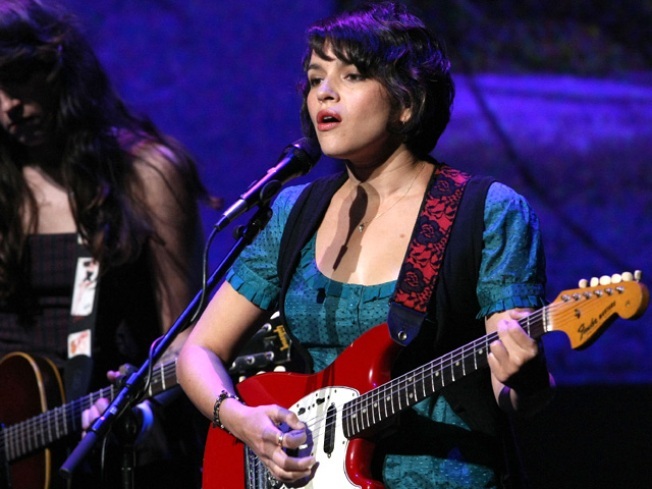 Norah Jones is unveiling something new at South By Southwest — again. Ten years after she shook Austin and the music world with "Come Away With Me," the 25 million-selling debut she released just weeks before the 2002 conference and festival, she's returning to play her entire new album "Little Broken Hearts" at La Zona Rosa on Saturday night. "It seemed to make sense to come back to my new record," Jones said. "I'm just going to play the new record. I'm not even going to play any old songs because it's South By Southwest. It doesn't seem wrong to do it that way. It's fun. This is a festival. It's for new bands but it's also just for new stuff, so it feels right to do the new record." The stylish yet deeply emotional 12-song collaboration with Danger Mouse is out May 1. In an interview Friday, Jones described "Little Broken Hearts" as a concept album of sorts that examines a difficult breakup. She said she and Danger Mouse, the producer whose given name is Brian Burton, wrote most of the songs as a team, working out lyrics and the instrumentation together. It's something of a departure for Jones and another step in her evolution away from the jazz of the Grammy-winning "Come Away With Me." Jones came back to SXSW in 2006 with her side project The Little Willies, a group she played two shows with on Thursday. The experience performing as a solo artist will be a little less discombobulating this time around. "It was kind of crazy," Jones said. "I remember 10 years ago when I came ... and it was insane. It was like we were doing four shows a day or something. I don't know. It felt very strange, but it was fun."